For ease of finding these DIY's, I have taken a part of yesterday's DIY: Painted Front Door tutorial and put it into this tutorial, of how to fill a hole in a piece of wood. 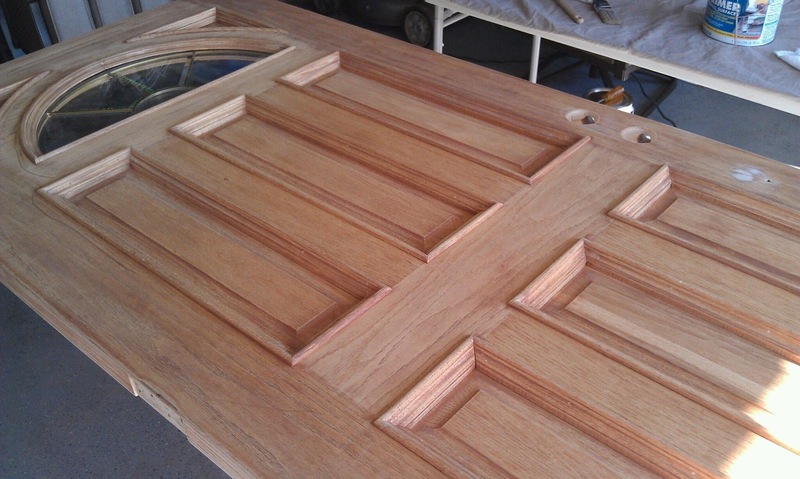 I am using my front door as an example for this project. I replaced all of the hardware and the locks when we moved in. They were originally brass, but not liking the look, I went with a brushed nickel set. The holes didn't match up perfectly with the existing ones, so I knew that when I was ready to paint the door, I would have to fill the unused hole. 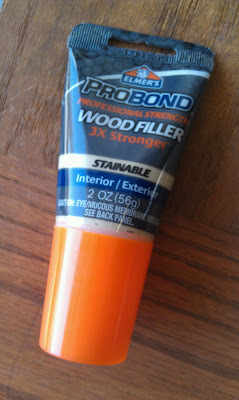 I used Elmer's ProBond Wood Filler, and made sure that it could be painted over. 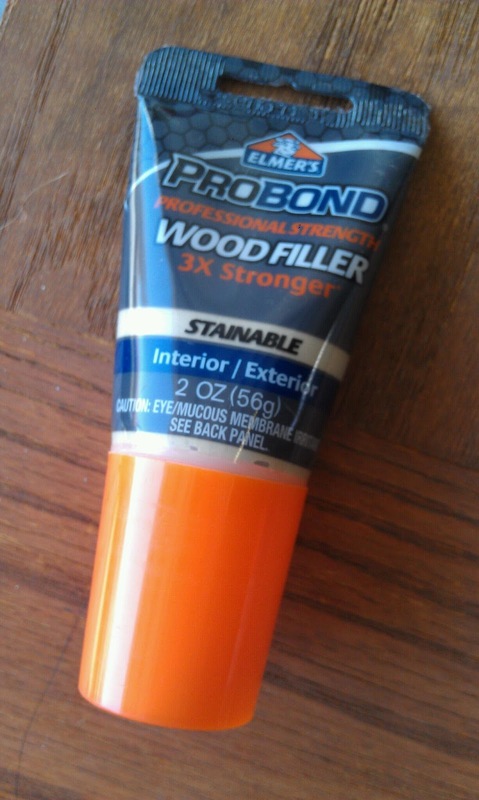 I cut off the tip of the applicator, and pushed some of the putty into the hole. 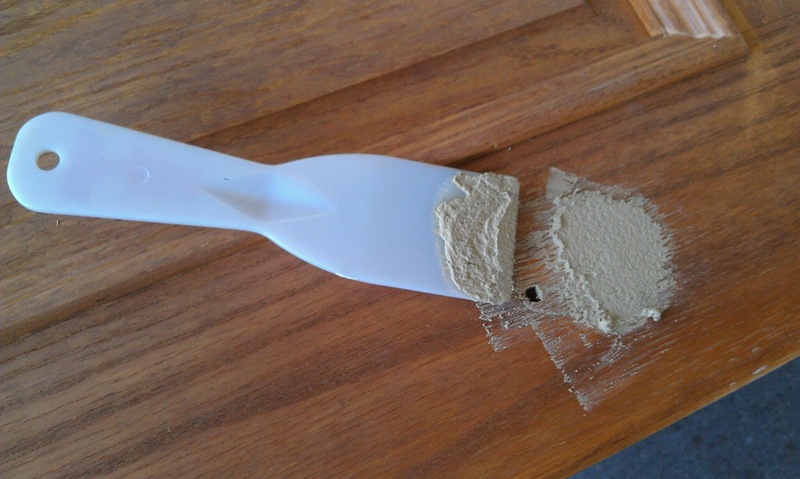 Using a putty knife, I smoothed it over, but not completely flush to the surface of the door. Since the hole went all the way through to the other side of the door, it was hard to make sure I was keeping as much filler in the hole as possible. I also didn't want to risk using too little, so I over-applied. I let this sit until it was the last thing left to be sanded on the door. If your hole doesn't go all the way through to the other side of the piece of wood, you don't have to pack as much on, and you can scrape it off a little so it is more even with the rest of the wood. Leave the filler to sit until it is dry, referring to the instructions on the filler container if you are unsure of how long to wait. Once the filler is completely dry, put a mask on so you don't breathe in the dust and sand over the filled hole. You should also really use gloves to protect your hands, and so you don't get splinters under your fingernails like I did. Make sure that when you are sanding down the wood filler, you follow the grain of the wood. Sanding in the opposite direction from the wood grain will leave scratches in the wood, which will be visible, especially after painting or staining. 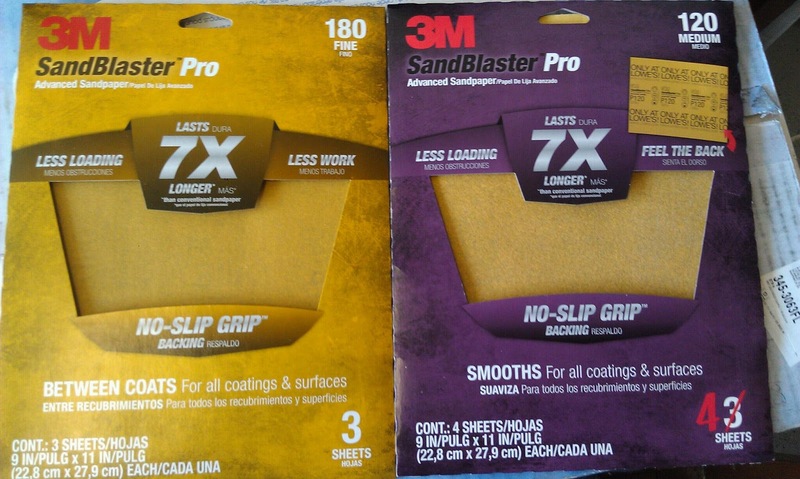 When sanding is complete, use a vacuum to get all of the sanding residue off of the wood. Be more precise than you think, because you don't want any dust to get into your paint or stain. And that's it! 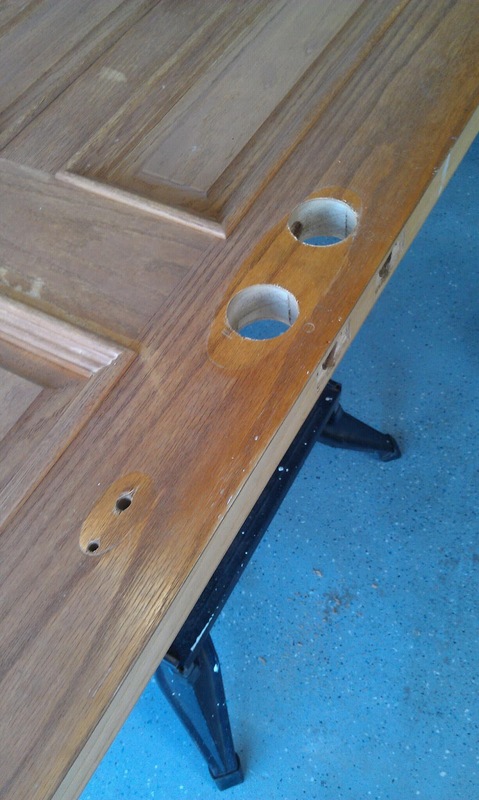 Really easy, so don't worry about making holes in doors or other wood products. They can very easily be fixed!